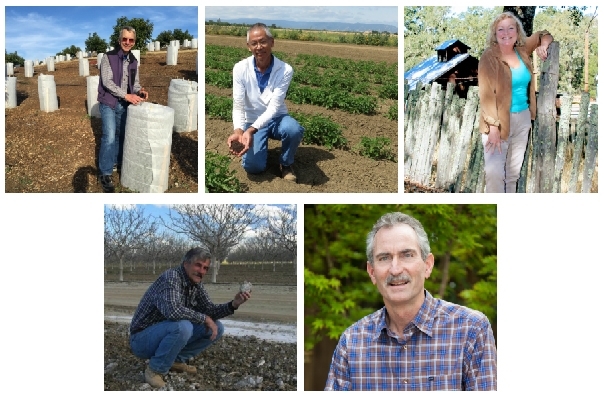 Mark Gaskell shown among blackberries bushes, but the UC Cooperative Extension advisor is known for his pioneering work on blueberries and coffee in California. "Everything I know about farming, I owe to Mark,” says San Luis Obispo County grower Tony Chavez, right, shown with Gaskell and Glenda Humiston, vice president for UC ANR. Blueberries weren't grown in California until Gaskell planted test plots of southern highbush blueberries in 1996 to give small-scale growers a new crop option. 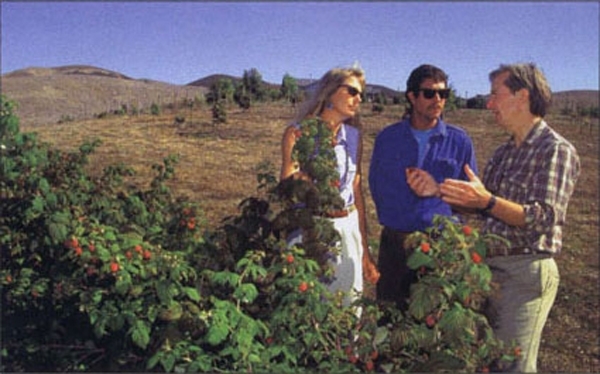 He hosted his first blueberry field day in 1998. 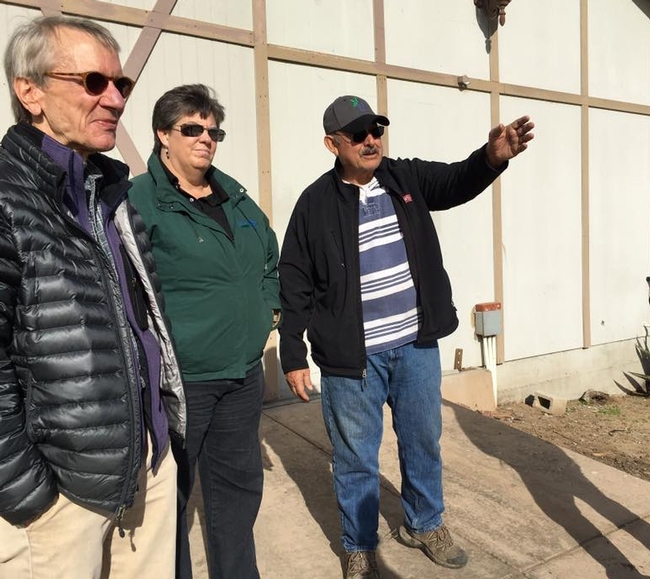 In collaboration with UC Cooperative Extension advisors in other counties, Gaskell identified varieties suited to the local climate and developed cultural practices for California growers to successfully produce blueberries. What was once a niche crop is now planted on over 7,000 acres in the state, according to the California Blueberry Commission. California currently leads U.S. production of fresh blueberries, Gaskell said. Chavez had grown bored after selling La Tapatia Norcal, a tortilla shop that he operated for 34 years, and retiring in San Luis Obispo County. 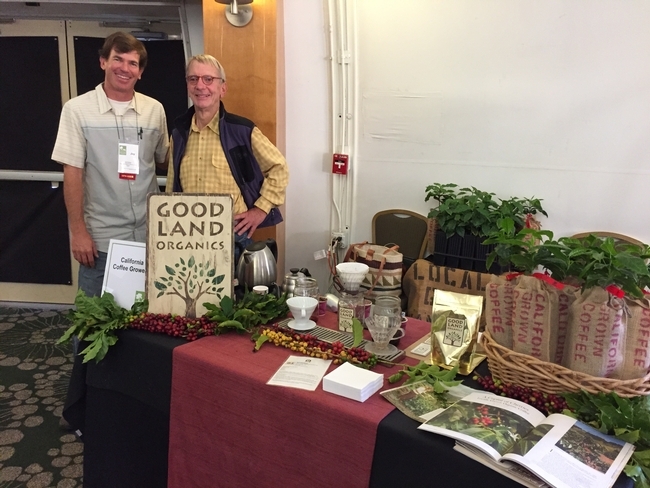 Jay Ruskey and Gaskell, shown at a California-grown coffee tasting in 2015, have been studying coffee growing together since 2002. “Personally, I would not be where I am today professionally without Mark's guidance, support and friendship,” said Jay Ruskey, CEO and co-founder of Good Land Organics. The exotic fruit didn't work out for the Goleta grower, but with Gaskell's research-based advice Ruskey has produced premium coffee. His Caturra coffee made Coffee Review's Top 30 coffees in 2014 and in 2017 Daily Coffee News reported that Blue Bottle was selling the California-grown coffee for $18 per ounce. Prior to joining UC, Gaskell had worked for several years in Central America in coffee growing areas. 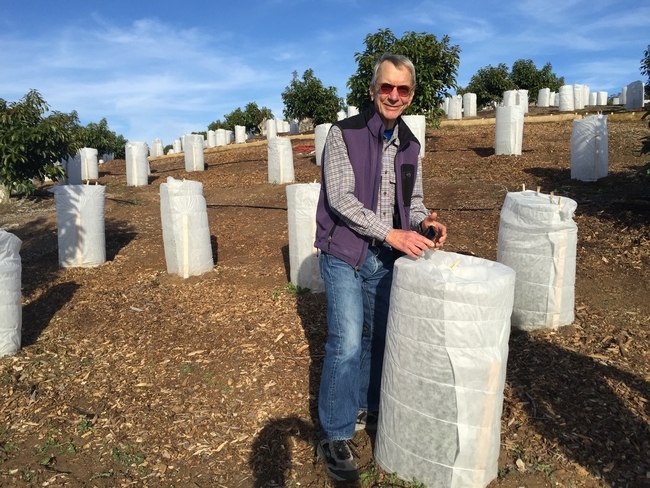 Mark Gaskell examines fiber cloth that protects coffee plants from cold and wind during the first year at Jason Mraz's coffee and avocado farm in San Diego County. California is now in the coffee business with 15 varieties of Arabica coffee that Gaskell's research has shown are growing well with acceptable yields and high quality. 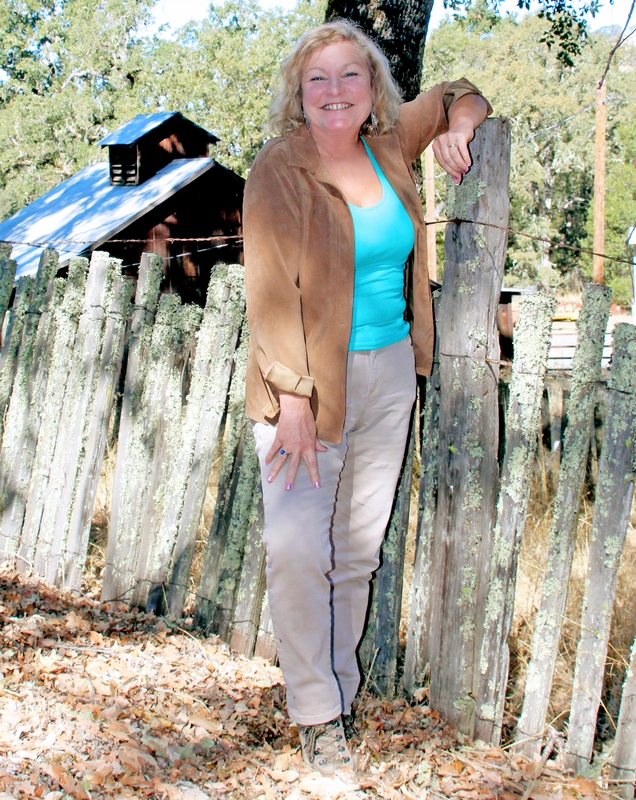 Ruskey recently co-founded Frinj Coffee, Inc., a company that provides aspiring California coffee growers with plant material and production and marketing advice. 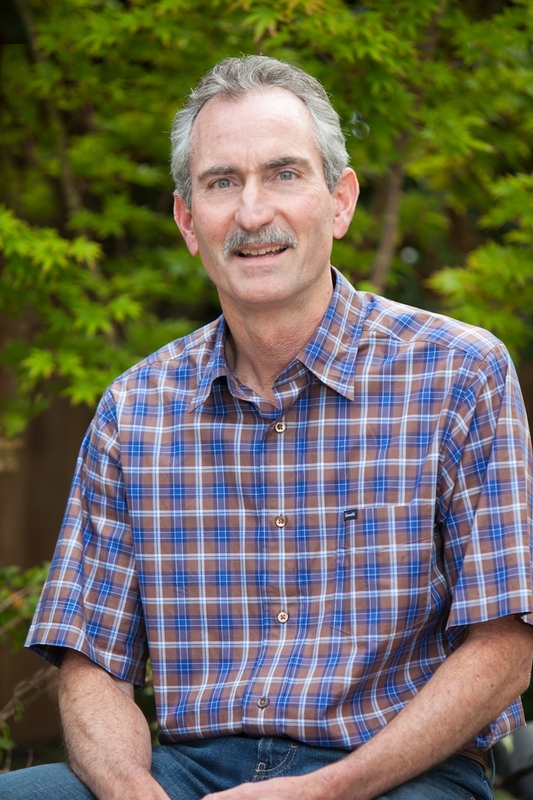 Gaskell began his career as an agronomy instructor for four years at Iowa State University, after earning his B.S. in agronomy and his M.S. and Ph.D. in crop physiology and production at Iowa's land-grant college. He became an assistant professor of agronomy from 1980 to 1987 at Rutgers University, where he began working with small farmers in Panama. For two years, he conducted agricultural research in Central America for the U.S. Agency for International Development and became fluent in Spanish. 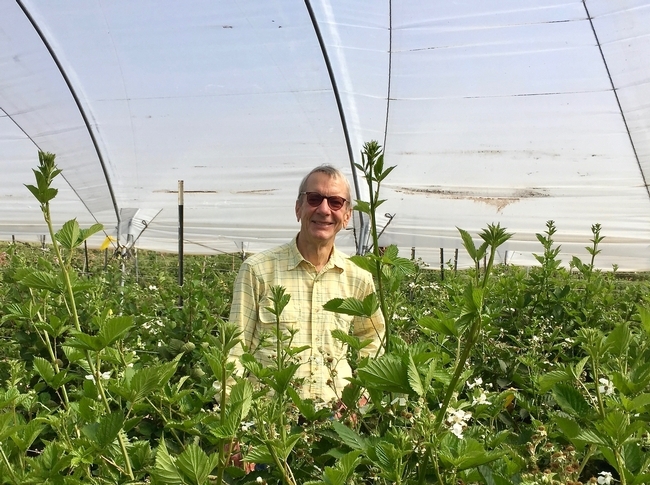 From 1989 to 1992, Gaskell was director of agricultural technical services, overseeing crop production in Latin America and Central America for Chestnut Hill Farms in Miami, before returning to USAID to develop new crops for farmers in Central America. After joining UC in 1995, the Iowa native continued his international work through consulting projects and sabbatical leave, sharing his expertise in Albania, Portugal, Turkey, Italy, Sicily, France and Spain, Argentina, Bosnia-Herzegovina, Bolivia, Uruguay, El Salvador and Nicaragua. As a Fulbright Senior Scholar, 2011 to 2014, Gaskell worked with the Moroccan National Agronomic Research Institute training growers and establishing a national research program to develop blueberries, blackberries and raspberries as alternative crops. 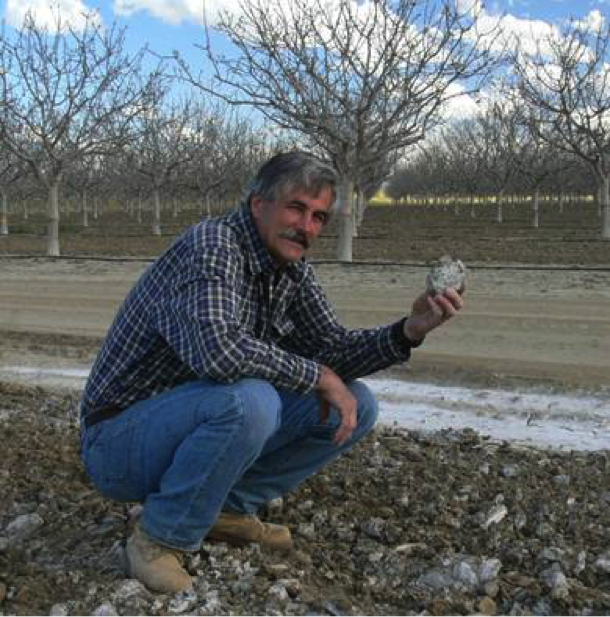 Gaskell's achievements were recognized by USDA-National Institute for Food and Agriculture with the 2010 National Extension Excellence Program Award for the UC Small Farm Program Team. 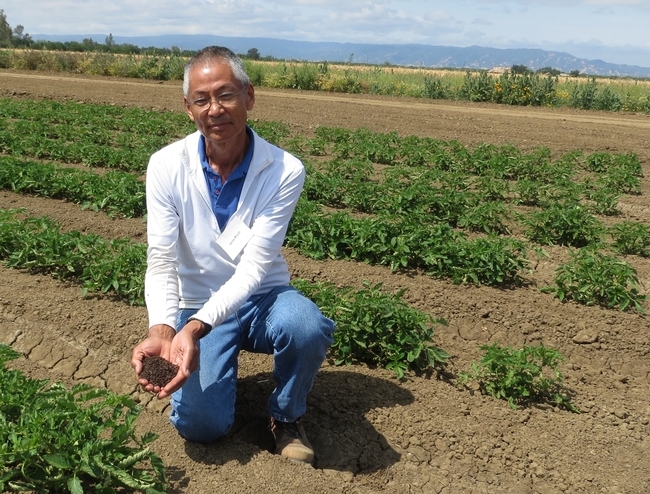 In 2007, he was named “Outstanding Educator” by UC Agriculture and Natural Resources.